This is Cars You Didn't Know About, a feature I've started doing. It's only semi-regular, but when I do it I'll be discussing those rare and unusual cars that never quite made it into the limelight. Tonight I'll be talking about the AC 3000ME, the vehicle that crippled AC Cars. Revealing it to the world in 1973, AC billed the 3000ME as the Cobra's spiritual successor. It was going to be Britain's first affordable supercar, with rear wheel drive, a fiberglass body, and a mid-mounted Ford Essex V6. Unfortunately, production was delayed until 1979 because it failed crash tests and the chassis had to be redesigned. During this time the proposed price of 4,000 pounds nearly tripled, and the delay meant the car was out of date by the time it went into production. The car also had direct competition from the Lotus Esprit, which was launched during the redesign period. 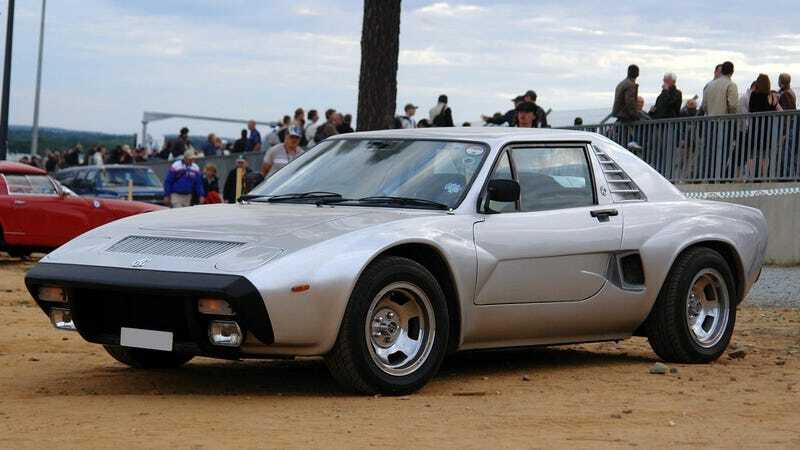 The 3000ME's performance could not match up with the Esprit's, suffering from poor handling, as well as problems with its AC designed transmission. After costing AC millions, the 3000ME ended up being a flop. Only 82 were made before AC went into receivership. ...Can't believe I got front page'd. What a pleasant surprise!